Jezero Crater is a 500-meter-deep (1,640-foot) impact crater 45 kilometres (28 miles) in diameter that would have had water 3.5 billion to 3.9 billion years ago. Water appeared to have circulated into and out of the lake in the days when it flowed on Mars’ surface. Mars 2020 will follow up on discoveries made by past rovers Spirit, Opportunity, and Curiosity, which suggested that Mars may once have been hospitable to life. 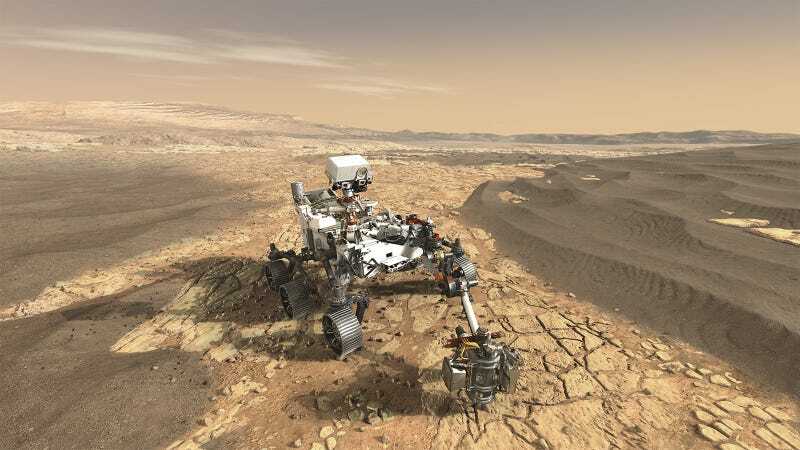 Mars 2020 will now hunt for evidence of ancient life, characterise the Martian climate and rocks, and gather understanding for a future human visit. It will also prepare samples that a later mission would gather and return. Once the list was down to four potential landing sites, scientists and engineers gathered to debate the options at a workshop in October before making the final recommendation. Jezero has long been a favourite, given its scientific interest. However, it has diverse terrain and landing there could pose potential challenges. NASA’s Thomas Zurbuchen, associate administrator for NASA Science Mission Directorate, noted that reaching the location is dependent on a new landing technique called “terrain-relative navigation” that would take photos, compare to a map, and divert the descending rover if necessary.